We have two swan plants which are food for monarch caterpillars. 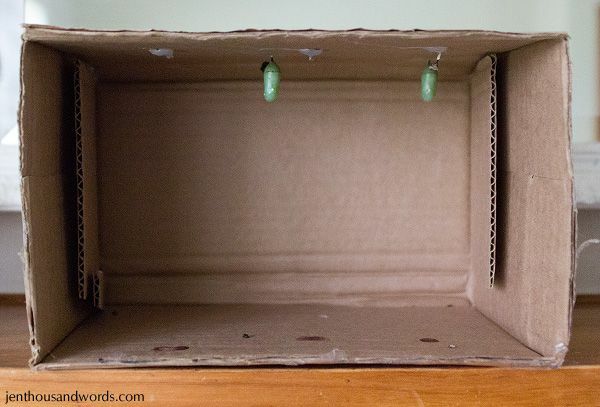 As each caterpillar reaches the point of forming a chrysalis (they wander away from the bush) we bring them indoors and they form their chrysalis in a box, or we find the formed chrysalis outside and bring it in and hot-glue them into the box. We watch them change from green to almost black. 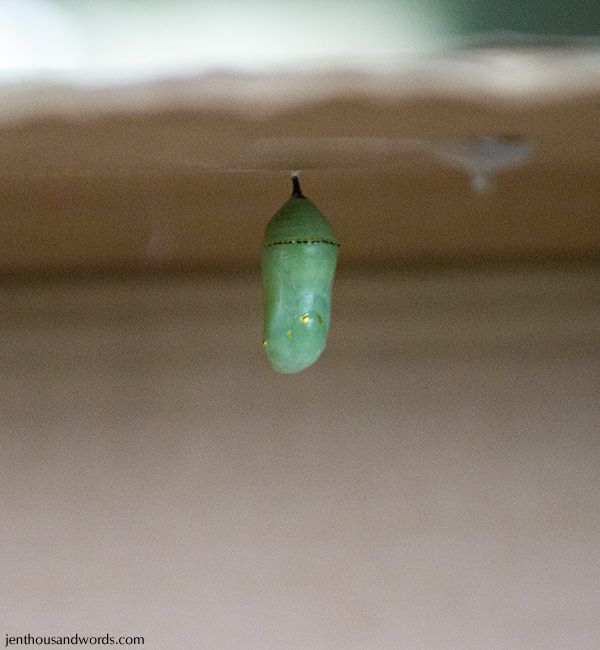 And then, if you're lucky and happen to be around when it happens, you can watch the butterfly emerge. 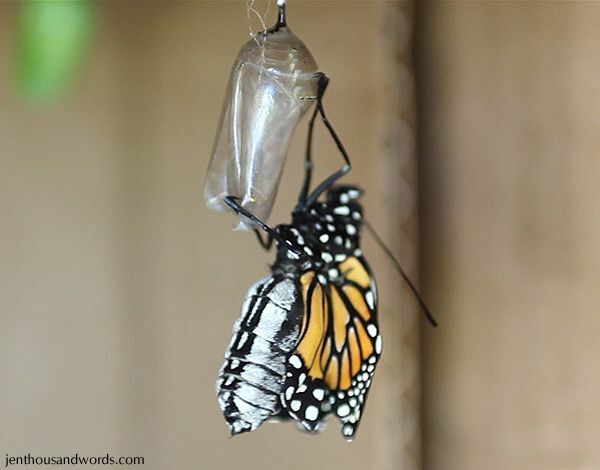 ... but over the next half an hour or so, as the newborn butterfly hangs trembling on the empty chrysalis shell, they fill with fluid until they are full size. 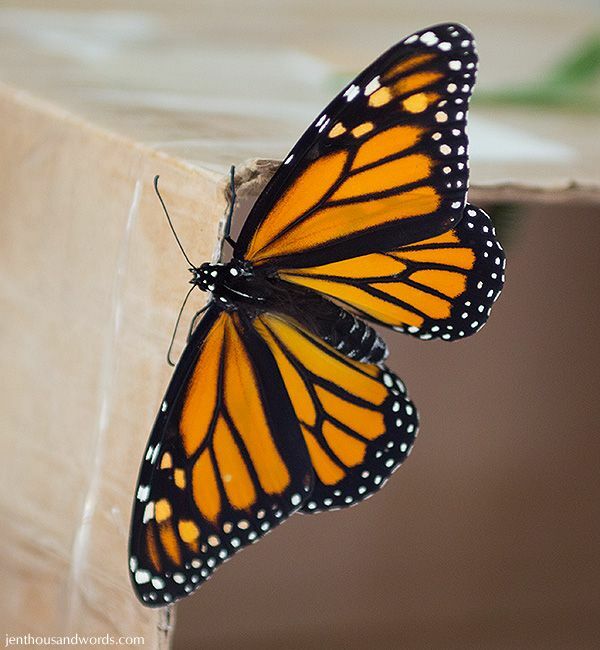 When the butterfly is ready it starts to move around and take short flights. That's when we place the box outside or near an open door and say goodbye. It's been so fun to watch this little miracle play out. 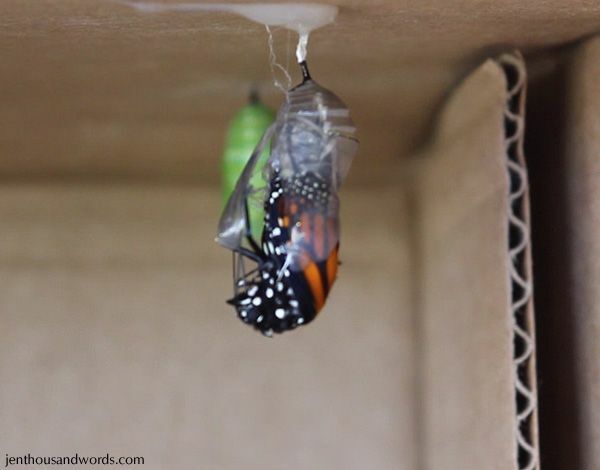 We've seen three butterflies emerge so far and as you can see we have two more in chrysalis form which will emerge in a little while. 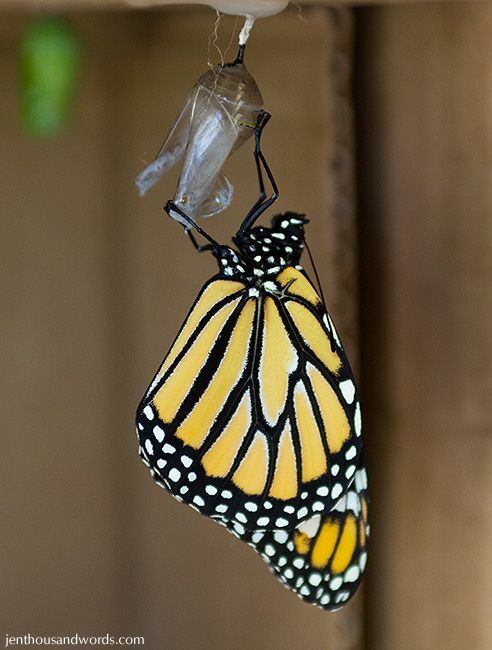 Have you ever seen a butterfly being born?